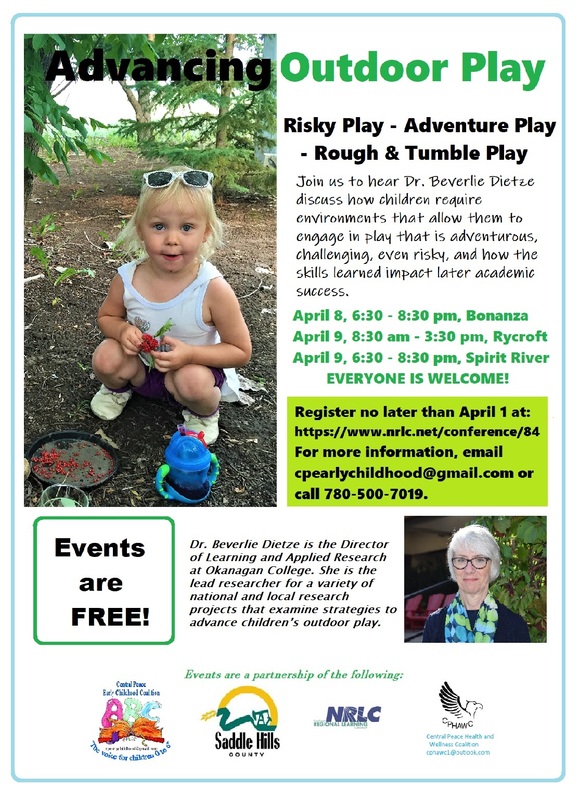 Risky play – Adventure Play- Rough and Tumble Play – What the terms mean and why children need these play opportunities. Children require environments that allow them to engage in play that is adventurous, challenging, and even risky. Risky play supports children in learning about their world; test what is and is not possible; learn about making mistakes; and discovering new things about their space, place and environment. These skills impact later academic success. This interactive workshop outlines some barriers that adults impose on children and outlines strategies that may be used to advance children’s opportunities to engage in active play that is stimulating, challenging, and fulfilling to them. Please note that this is an evening session. Time is from 6:30pm - 8:30pm. Outdoor and nature can be a blank canvas for children’s sense of wonderment, curiosity and learning. Many factors including space, place, roles and attitudes of adults within the space, and the time allocated to the outdoor environments influence children’s connections to play, nature and learning. Risk benefit assessment strategies will be introduced in relation to advancing children’s adventurous, challenging and even risky play. This interactive workshop will discuss current research and practices that benefit adults viewing outdoor environments as a blank canvas for supporting children’s cycle of curiosity and sense of inquiry. Please note: There will be some outdoor play experiences. Dress to play! Please note that this is a full day session. Time is from 8:30am - 3:30pm. Any staff employed in preschool or kindergarten programs in schools in the Central Peace region (Eaglesham, Rycroft, Woking, Spirit River Regional Academy, St. Marie's RC School, Savanna School, Bonanza School, Colony or Mennonite Schools) can apply for a substitute teacher subsidy of $100 to facilitate attendance and participation in this learning opportunity. Please contact cpearlychildhood@gmail.com for support.